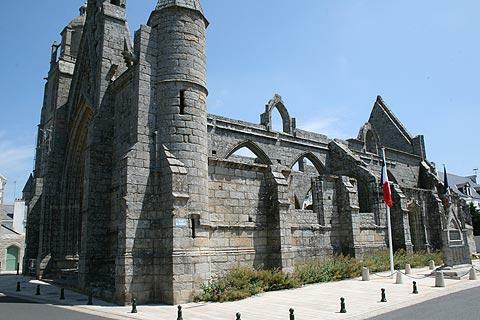 Batz-sur-Mer is situated on the Atlantic coast south-west of Guerande and west of the large resort at La Baule, in the Pays de la Loire region of France, on the section of coast known as the Cote d'amour. The seafront part of the resort is much quieter and smaller than some in the region, with a nice cluster of traditional houses and a couple of restaurants facing the beach and harbour. 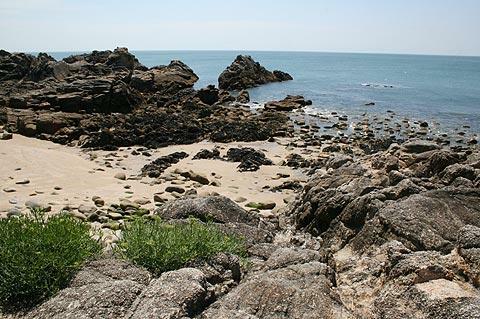 As well as the sandy beach in the 'town centre' there is another, backed by large granite boulders, 100 metres to the north around the little headland and several other small beaches hidden along the coast nearby: these can be discovered if you follow the Customs Path along the coast from Batz-sur-Mer. In Batz-sur-Mer village centre the main highlight is the 14th century Church of Saint-Guénolé, with an imposing tower added in the 17th century after the original was destroyed by fire. The church is built in a gothic style that is unique to Brittany and it is possible to climb to the top of the tower for far-reacing views along the coast, while inside the church there is a substantial painting by a 17th century artist called Pierre-Jacques Cazes. 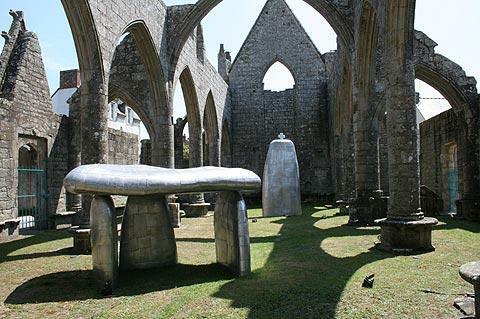 You will also see the evocative ruins of the Chapel of du Murier, built in the 15th century to give thanks for a local epidemic of Black Death coming to an end - there are a couple of interesting modern sculptures placed within the body of the ruins. A little way outside the town towards Le Croisic you can also visit the nicely restored 16th century windmill at Moulin de la Falaise. Also just outside the main town you can visit the traditional village of Kervalet, a very small village with some lovely stone houses built around a 15th century chapel. 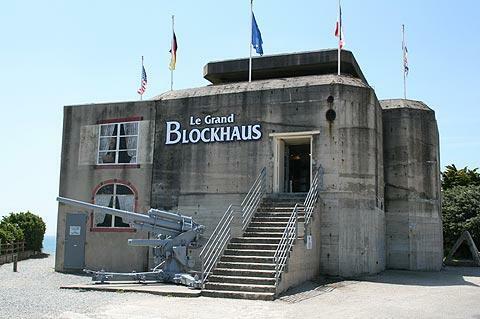 Visitors interested in wartime events will like to visit the museum at Le Grand Blockhaus a couple of kilometres away on the edge of Batz-sur-Mer. The building was disguised as a hotel during WWII, but actually concealed German anti-aircraft guns that helped nearby Saint-Nazaire to be the last stronghold of the Nazis in France. The Museum in the blockhaus contains lots of period re-enactments and items to help bring the local story of the war to life, while the sturdy concrete building itself is an interesting 1930's architectural style. There is a lot to see in the area around Batz-sur-Mer and along the Cote d'Amour including one of the most upmarket resorts in the region - the lively seaside resort at La Baule, the historic walled town town of Guerande; and the pretty harbour town at Le Croisic. You can find more local travel ideas in the Loire-Atlantique guide and the Pays de la Loire guide. 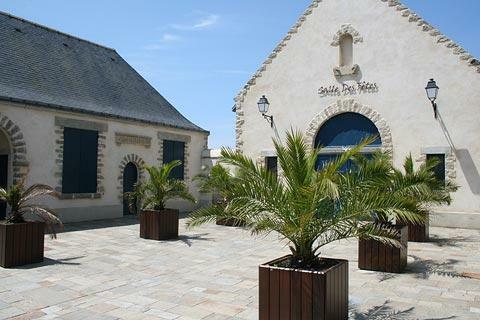 Regular market(s) are held in Batz-sur-Mer each Monday.